Marano Brothers are carefull to the town of Amantea and its territory, in the province of Cosenza, their cure begins by workroom and by family showroom. These places become symbols of this Tyrrhenian land, where traditional flavors and aromas combined with craftsmanship and with care of the product, they are turistic attractions. 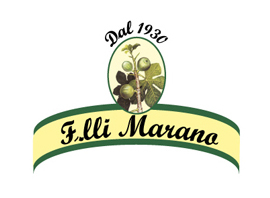 You are able enjoy a guided tour at Marano Brothers workroom to watch live the artisan production of figs and other confectionery products. Sweetness for senses! Marano workroom is a good starting point to begone your visit in Amantea, ancient town linked, as the history of the figs, to Middle Eastern world and Saracen raids (from which it seems derived ancient toponym of “al-Mantiah”, “The Fortress”). The old city develops around the Castle of Amantea, with Torre del Mastio in the centre and the ruins of old Church of San Francesco d’Assisi not far away. In alleyways, among the houses of old village, there are several historic buildings (Palazzo delle Clarisse), churches (Church of San Bernardino da Siena), squares and beautiful panoramic views. The most popular cultural events are Amantea Carnival, on Febrary, and “La Guarimba International Film Festival”, on August, at Grotta Park, a big natural cavity in the old city which, years ago, was used as shelter for merchant ships.